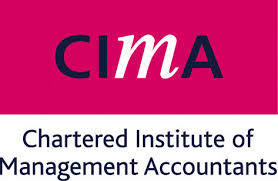 The Chartered Institute of Management Accounts (CIMA) has updated its syllabus for its professional qualification as well as to introduce new assessment methods. One of the main arguments for the introduction of the CIMA new syllabus, which will take effect in January 2015, is to bridge the skill gap of newly qualified management accountants, meeting the needs of businesses and people. What will CIMA new syllabus bring? CIMA conducted thorough research amongst industry leaders to identify what knowledge and skills finance professionals must have if they are to perform effectively in a modern business environment. These are reflected through the new Competency Framework, which is based on what organisations expect finance professionals to do. The syllabus update particularly puts greater emphasis on key parts of the qualification such as risk, costing and cost management. Additionally, new material such as integrated reporting and finance function transformation is added to existing taught areas. These changes should address new business issues, or issues which are likely to become more important in the years to come. How do assessment methods change? The core qualification levels: operational, management and strategic will remain but exams for each subject at the given level will be computer based instead of paper based. The time allowed to complete the exam will halve from three to one and half hours. Students will no longer be obliged to take the exams at certain pre-chosen dates, giving them greater flexibility. This assessment method is similar to the one for certification level exams. The professional competence level will cease to exist and instead the integrated case study exams will be introduced at each of the three core levels. These exams will only be available four times a year and will be marked by a person rather than a computer. The aim of the case studies introduction is to consolidate the learning to reflect real-life work situations. The first tests under the updated assessment method will take place in the first quarter of 2015. For more detailed information go to: [CIMA New Syllabus 2015].